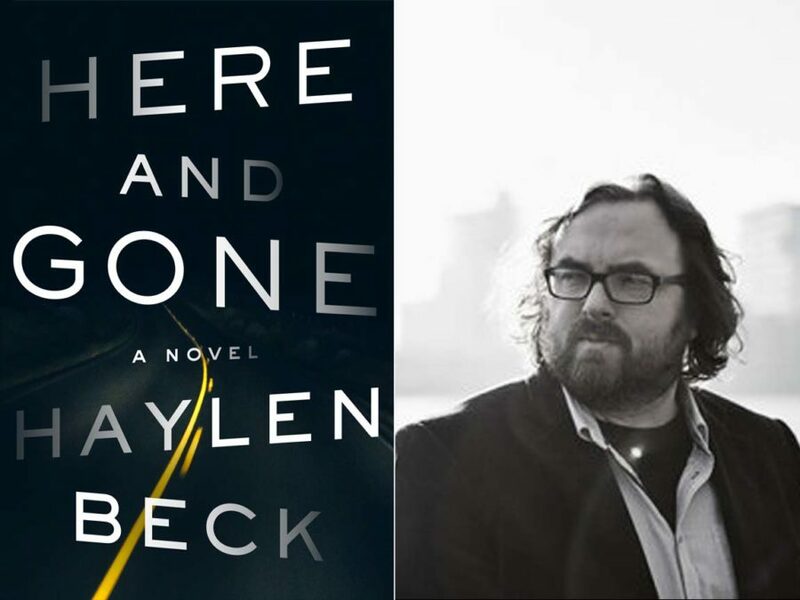 Haylen Beck discusses his thriller Here and Gone and why he's bored by "a strong female character." Here and Gone is a gripping, wonderfully tense suspense thriller about a mother’s desperate fight to recover her stolen children from corrupt authorities. 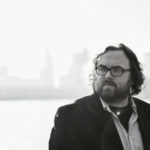 The novel is written by Haylen Beck, a pseudonym for Irish thriller writer Stuart Neville, author of The Belfast Novels, which include The Ghosts of Belfast, Those We Left Behind and So Say the Fallen. Meanwhile, halfway across the country, a man hears the frenzied news reports about the missing kids, which are eerily similar to events in his own past. As the clock ticks down on the search for the lost children, he too is drawn into the desperate fight for their return. The gaslighting of the main character by the authorities makes for an incredibly absorbing reading experience. 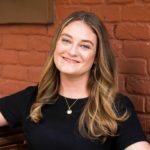 Read it Forward’s editor Abbe Wright sat down with Haylen to learn more about his writing process and why the Arizona desert was the perfect setting for the book. Read it Forward: Haylen, you have a lovely accent. Where are you from? Haylen Beck: I am from a town called Armagh, about an hour outside of Belfast in Northern Ireland. RIF: Were you born and raised there? HB: Yeah, pretty much. I lived in Manchester for a couple of years but Northern Ireland is my life. RIF: You’re experiencing life with two careers now, aren’t you? Your given name is Stuart Neville, which you use for your books that are set in the U.K., but your latest novel, Here and Gone, is written under the name Haylen Beck. Tell me about the decision to use a pen name. HB: Yeah, Here and Gone by Haylen Beck is not officially a debut novel. It’s actually my eighth published novel, but it’s the first one set in America. I’ve been coming to America on and off since 2007, and I wanted to write something set here for a long time but crime writers tend to get associated closely with the towns they set their novels in. You know, James Ellroy has L.A.; I, along with Adrian McKinty and a few other writers are associated with Belfast. This story always had to be set somewhere like Arizona. It wasn’t going to work anywhere else. There wasn’t even an option to take this story and move it closer to home; it had to be set somewhere in the big wide-open space and some wilderness. There’s also a change in style as well. I’ve always written thrillers and suspense novels but this is more commercial. So, between that and the setting, I felt like the right thing to do was use a pen name, just because it seemed too much of a left turn from what I had been writing. RIF: The descriptions of the American West and the Arizona setting are so vivid; it felt to me like you had definitely been there. Did you travel for your research? Have you spent time in Arizona? HB: I’d been going to Arizona on and off for a few years because the great Poisoned Pen bookstore is in Scottsdale and I’ve been there on a few book tours. Being there, even briefly, I saw enough of the landscape to see how arid and harsh it was. Ever since I had the idea for the story, I knew that’s where it was going to be set, it could never be anywhere else. I had the idea and I actually set it aside for a year. I didn’t do anything with it because I had other commitments but then purely by coincidence, I’d gotten an email from a guy called John—also from Northern Ireland but he was working at Northern Arizona University in Flagstaff—and his class was studying my first novel in a course he was teaching. He asked if, when I was in town for a reading at the Poisoned Pen, I would come up and talk to his class. So, I got back in touch with John and asked him could he maybe take me on sort of a road trip. We did a two-day drive starting in Scottsdale, in the low desert, an arid sort of environment, up to Flagstaff and then back again in 48 hours. The environment and the geography change very drastically. I hadn’t really realized this about Arizona until I was there. As you move north towards Flagstaff, the incline very quickly steepens to an elevation of 7,000 feet, and also it’s all pine forests. It is a completely different landscape than Phoenix and Scottsdale, which is the middle of the desert. I experienced this transition from desert heat into the cool of the forests, from one wilderness to another, and the more I saw of it, the more I realized how perfect this setting was for this book. If you want to lose two children, where better to do it really? There were lots and lots of details from that trip that wound up in the book. There are moments in the book where a character comes across a dried-up lake and sees a bald eagle flying on the other side. I actually did that. We came to Mormon Lake and it was completely dried up, it looked just like the surface of an alien planet or something. And in the distance, I saw this bald eagle come and land on top of the pine. Also in the book, there’s a little general store by the roadside. We stopped at that store and we drove up through the switchbacks and between the hills to find this little town. All the details that are throughout the book were from that two-day trip around the state. And purely by luck, I got the chance to do it and I think it’s helped the book an awful lot. RIF: Where did you initially get the seed for this idea? We’ve touched on the setting, and I do agree with you that Arizona is really the perfect place to set this story, with all of the politics and the landscape and things playing a role in the plot. But where did the idea come from? HB: The idea started as a line of dialogue. I can’t remember what the circumstance was but one night I watched a movie and this line popped into my head: “There’s a man who’ll pay me a million dollars a child; three million for a pair.” And that was it. That’s all that came to me. Over the next couple of days, I started thinking about who was saying this line, who is he saying it to, where is he saying it, finally getting the idea of this rogue sheriff talking to a mother about her own children and it’s set in a small town in Arizona. Everything just rippled out from that one line of dialogue. I often find I get one tiny little detail or line of dialogue and then a story extrapolates from that. RIF: This book is scary in a bunch of different ways. RIF: Yes, I imagine that’s a huge compliment for you. Do you have children? Having your children taken from you, is that something that you have personally feared? Or it’s just an imagination of one of the scariest things that could happen to a human? HB: I have two small children; they’re almost four and almost six. The oldest one is too smart for her own good which a little bit like the character Sean in the book. I don’t think I could have written this book without having children and being able to understand the fear that would come with having them taken from you. The one thing I can reassure people about if they’re looking to read this book is that although there’s some dark subject matter, I’m not going to do anything in the story that’s going to make you hate me. RIF: That’s a good disclaimer. HB: I’ll just leave it at that. I think, in having children, you’re constantly afraid at some sort of lower level, which maybe becomes a high level if something happens or goes wrong. If you’re a writer, an active imagination can be a real curse because if my wife’s out with the kids somewhere and I haven’t heard from her in the last hour, I start to get the worst scenarios popping into my head. So, yes, it’s really just working out those fears that every parent would have. Writing thrillers is to face those fears in a safe environment. RIF: Another thing that’s very scary is the concept of the police and law enforcement, who are meant to keep us safe, abusing their power. As we’ve seen with cases of police brutality in the news, it’s incredibly scary to think that these people may not always be here to protect and serve our best interests. HB: I guess in any case where one person has power over another there’s potential for abuse. Whatever that office might be, from cop to school teacher—wherever anybody has power, there’s potential to exploit it. And that’s very rich fodder for thriller writers. The abuse of power and the corruption of power is always a good source of material. RIF: You do a magnificent job of writing from Audra’s point of view. Was that difficult or easy? I’ve heard some writers say, well, it’s the human experience, no matter if the character is male or female. How did you feel about giving voice to this woman, this mother? HB: I’m not entirely sure why but the last few books I’ve written have been ones I’ve only written with female protagonists simply because I find them more interesting to write. If I ever write a male protagonist I’m more likely to fall into cliché. When I’m writing a female protagonist I have to think a little bit harder and I think it comes out a bit more original and fresh. But because I’ve been writing female protagonists, I’ve gotten the question quite often: how do you go about writing women? I’ve shamelessly stolen this answer from somebody else on a panel at a convention, but someone asked him “How do you go about writing women?” and he said, “You know, it’s a lot like writing people.” It was a good answer and it made a serious point in that every character is their own person. Yes, their gender will influence their experience of the world and how people treat them and so on but ultimately it’s still an individual human being and you have to write it with that in mind. RIF: Yes, I think that’s important to note. HB: One expression I really don’t like is “a strong female character,” as if strong is the defining characteristic of making a female character work in a book. I quite like weak females characters as well, I like scary female characters, I like brave female characters, you know. I think that’s a phrase that’s used too often and it’s not a very effective description of an interesting female protagonist in a book, just to say strong. I think it’s a wee bit patronizing. RIF: Sometimes the most flawed characters are the most interesting to read because we can often see ourselves in them and our own flaws. Again, it’s a way for us to work through things. So you write about some really dark stuff in this book. How did you go about researching it and did it ever become too much, or is that the name of the game? HB: To be honest, the book only kind of skims that seedy underworld. In my research, I only just skimmed that world because that’s not somewhere I want to spend the time. My research is kept at an arm’s length simply because it is so seedy and ugly and I don’t want to be carrying that kind of stuff around in my head, you know? Although the reader gets a glimpse of this underworld, they don’t get mired in it, by any means. RIF: But it has to be present in order to understand the characters’ motivation. RIF: This book felt very suspenseful. I read it in just 24 hours; it’s so fast-paced. What elements are important to you for building suspense and getting the reader flipping the page? HB: For me, character is plot and plot is character because plot is the consequence of characters’ choices. You get different characters whose desires are in conflict with each other and that’s what drives the engine of a story’s plot. Sometimes people get confused with what a plot actually is. They’ll think it’s just a sequence of events, A followed by B followed by C, which it’s not. Plot is seeing how far a character will go in pursuit of their desires. In the case of Here and Gone, it’s Audra’s desire to get her children back versus Whiteside’s desire to get rich. The plot unfolds on the push and pull of those two against each other. Every turn of the story is brought on by a choice that a character has made and with every choice, you up the stakes and up the stakes and up the stakes and that builds tension and keeps the pages turning. I’m not sure what it all comes down to—there’s no sort of magic dust there. It’s just letting characters drive their way through a story.